With the U.S. seemingly linked to a terrorist bombing in a Baltic nation and a Russian troop buildup just over the border, the covert Gray Outfit sends Thomas Laker to untangle the mess. But after a second attack leaves him out in the cold, Laker’s on his own. Five thousand miles away in Miami, Laker’s partner and NSA codebreaker Ava North is investigating the murder of a fellow agent. 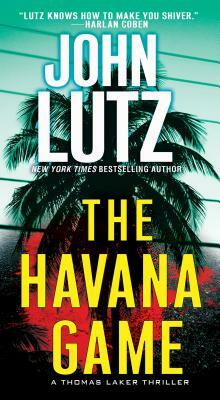 When tracks lead to a Cuban-American billionaire in bed with the Jersey Mob, Ava’s superiors want her to lay off. Not a chance. Though oceans apart, Laker and Ava discover their separate missions are tied to one explosive plot. The only way out is to breach all protocol and play by their own rules . . .
A multiple Edgar and Shamus Award winner—including the Shamus Lifetime Achievement Award—JOHN LUTZ is the author of over forty books. His novel SWF Seeks Same was made into the hit movie Single White Female, and The Ex was a critically acclaimed HBO feature. He lives in St. Louis, Missouri, and Sarasota, Florida. Visit him online at www.johnlutzonline.com.